BAM Brand Refresh & Website | Partnering with professional coaches to elevate their brand and create a presence in the digital landscape. 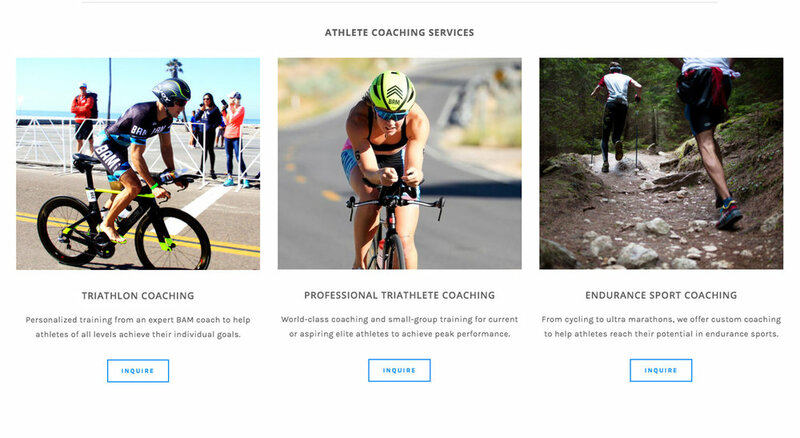 The Ask: Team up with a group of experienced triathlon coaches to refresh their brand and create a website that communicates their high-quality offering. 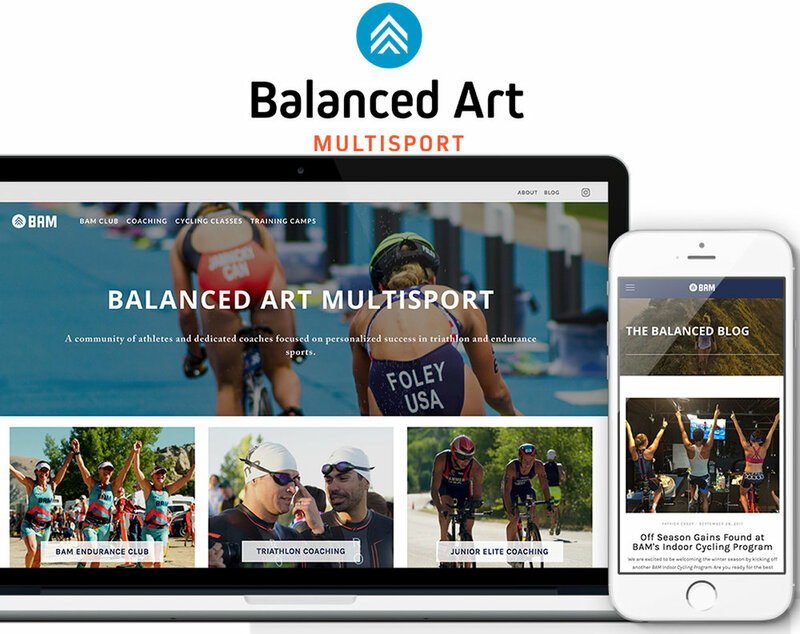 Balanced Art Multisport is making their mark in the triathlon space with their growing endurance athlete club and successful personalized coaching. They have a well respected reputation in the industry, but their previous website didn’t reflect their quality or expertise. BAM also faces a challenge of marketing to multiple segments of athletes from weekend warriors to professionals and junior elites. I started by refreshing their brand and establishing objectives for their digital channels. Following a light brand refresh I focused on their primary digital channel, the website. They needed an intuitive site structure that organized the different facets of their business and allowed for scalability as the business evolves. The website had to support 2 types of transactions (memberships and store) and multiple paths for lead generation. 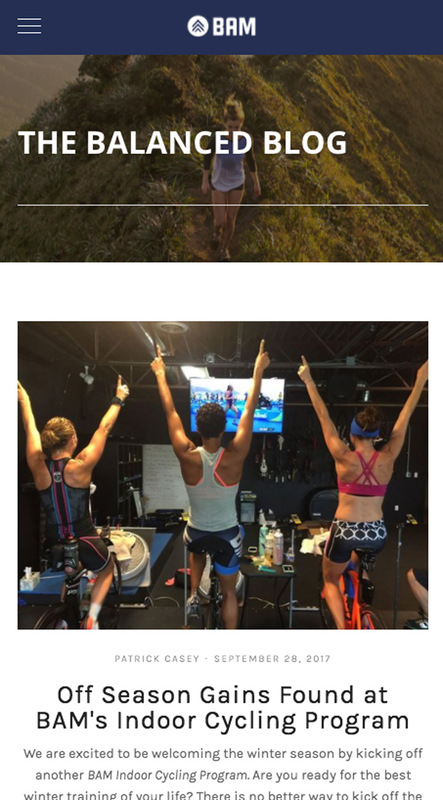 From a visual standpoint, the website needed to include images of the athletes and give a strong sense of community that makes BAM such a unique group. I used hero imagery and galleries to create an approachable, human and professional feel, while optimizing the assets to ensure load time was quick. Prior to launching, I advised on a content strategy and framework for blog posts to help boost SEO. After launching BAM continues to engage me as a consultant for assistance with digital experiences including social media management and SEO content recommendations. The website has been very well received and significantly boosted their online impressions. Uber for Business: Monthly Billing & Persona Development | Create the framework and experience for a complex monthly billing feature.